Elna was trained by the well known Elize Roodt of The Pewter Art Academy. Elize is a national supplier of pewter sheets and other pewter products. The main focus with the classes is to offer you a rewarding and creative time for you and your friends to relax, to feel good and to enjoy making a product that you can be proud of. The classes are full of laughter, creativity and students inspire each other. Pewter art is a technique to emboss or engrave designs onto a thin sheet of pewter. The craft is also known as Relief Modeling or Repoussé (French), pewter work (English) or embossing (American). 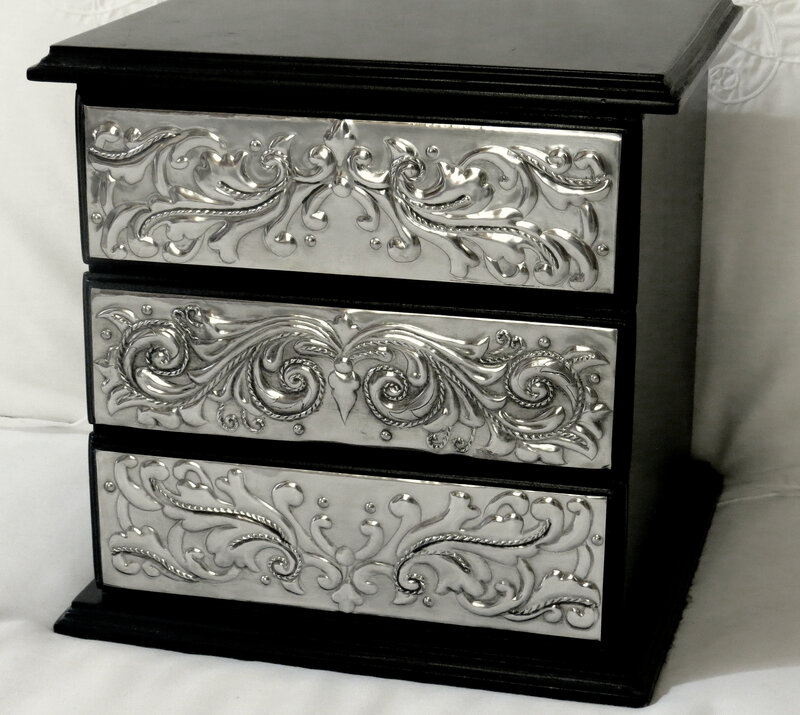 The technique includes high and low relief in pewter sheets and offer you an opportunity to create fine pewter gifts and accessories. Elna Kleinhans is committed to teach you the know how in monthly intensive classes, that range from beginners, intermediate and advanced techniques. We are sure that you will return whenever you need off time and rejuvenation for your soul.